More than 30,000 of Nebraska’s infants and toddlers are at risk of arriving at their first day of kindergarten developmentally unprepared to learn and thrive. Sixpence is changing the odds in their favor. The Sixpence Early Learning Fund is Nebraska's signature effort to put our state's youngest and most vulnerable children on the path to success in school and life. 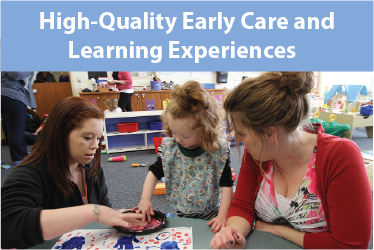 Sixpence promotes high-quality early care and learning opportunities that help parents guide the healthy development of their infants and toddlers. As public-private collaboration at the state and local levels, Sixpence delivers efficiency, fiscal responsibility and measurable results for our investment in the next generation of Nebraska's citizens. 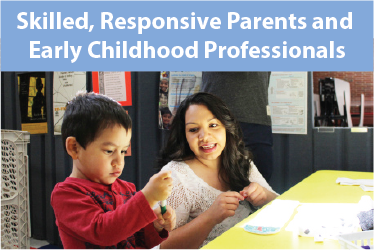 Stimulating, emotionally supportive experiences prepare children to succeed in school and life. Capable, confident parents and caregivers guide healthy neural growth and skill formation in the first three years. 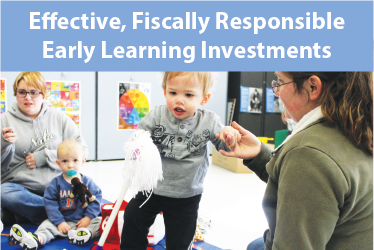 Fiscally responsible, locally-controlled programs deliver accountability for our investment in quality early learning. The Trustees of the Sixpence Early Learning Fund announced that two new grants have been awarded from the pool of applications from the October 2015 RFP. These grants are awarded to school districts in partnerships with local licensed early care and education providers to improve the care for infants and toddlers at risk. Grantee partnerships in York and Grand Island join the existing grantees in Chadron, Gering, Sidney, Kearney and Falls City who first received funding in 2016 and Auburn and Hastings who first received funding in Feb. of 2018. Helen Raikes, Willa Cather Professor of Child, Youth and Family Studies (CYAF), and her late husband, former Nebraska State Senator Ron Raikes, were recognized Oct. 10 with the Grace Abbott Award from the Nebraska Children and Families Foundation. The award honors the Raikes vision for the Sixpence Early Learning Fund, which for 10 years has brought high-quality early childhood education to vulnerable families in Nebraska. Helen and Ron worked hand in hand to fight for additional funding for early childhood education in Nebraska. Broken Bow's Sixpence collaboration shows how multiple local partners can work together seamlessly to advance the early learning and development of infants and toddlers in central Nebraska.